April 15 2018. 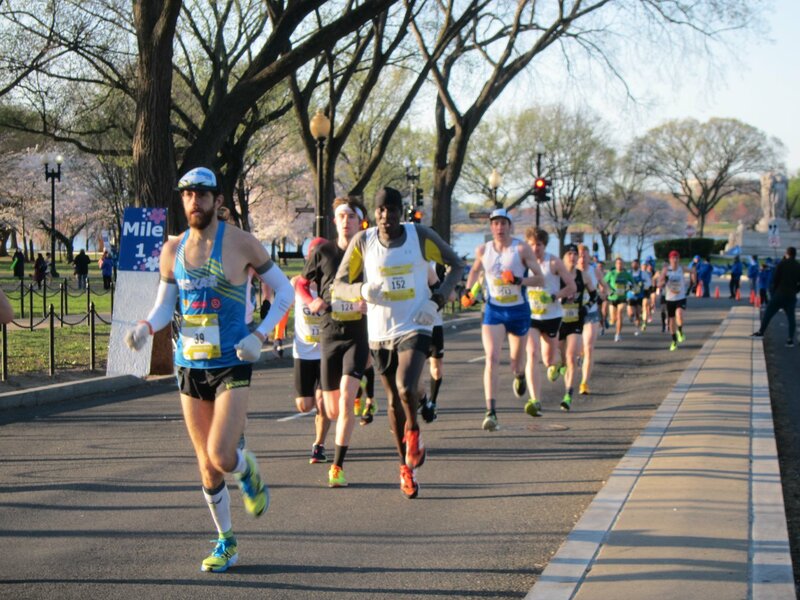 The first weekend in April finds athletes running 10 Milers from coast to coast and in the middle. 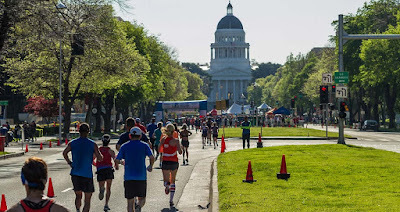 The Cherry Blossom 10 Mile Run (CB10) in Washington D.C., the Papa John’s 10 Miler (PJ10) in Louisville KY, and the Sactown 10 Miler (ST10) in Sacramento CA all take place on this weekend and attract thousands of runners in total. The PJ10 was first up on Saturday, April 7th, with the CB10 and the S10 taking place the following day. 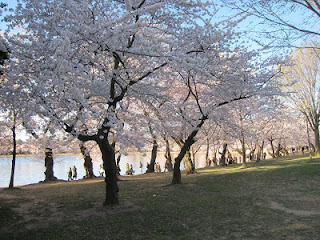 Now in its 45th year, the Cherry Blossom run is the granddaddy. Founded to provide a good race for Elite Runners prepping for the Boston Marathon, it now attracts Elite Runners who race it for the Prize Money, which comes from a variety of sources ranging from USATF Road Rating Circuit to RRCA as well as both Professional and American [only] Prize Money. It is also a large mass participation race, by far the largest of the three. This year the CB10 had over 16,000 finishers. The PJ10, now in its 18th running, had just under 3000, probably fewer than normal because of the discouraging weather conditions; the ST10, in its 8th year, had under a thousand although they, like the CB10 do aim to attract at least a handful of elite athletes and also attracted regional elite runners this year as the Pacific Association’s (USATF) 10 Mile Championship. 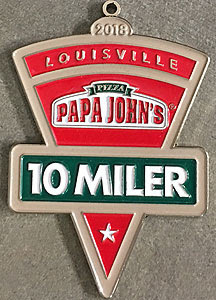 All three are potentially record eligible as they finish and start at the same elevation and the furthest distance between the start and finish in any of the races is less than a mile. The CB10 and the S10 are both advertised as flat and fast; the PJ10 is more challenging. Miles 1-3 and 6.5 to 9.5 are flat and fast. But there are both rolling and substantial hills in the 3-6.5 mile portion that winds through the scenic Iroquois Park, and there is an overpass to surmount with about 800 meters to go. Perhaps because records are unlikely on such a course, the PJ10 does not advertise its course as USATF certified while the other two do. This year the weather gods did not smile on either the CB10 or the PJ10 although the DC race had marginally better weather. Sacramento enjoyed a very good weather day, clear with temperatures in the 50’s during the race, and mostly calm. The CB10 went off under partly cloudy skies, with temps in the mid-thirties but substantial winds of 10-14 mph, and only got to the upper thirties or low 40’s depending on which wave the runner was in and how fast they ran. 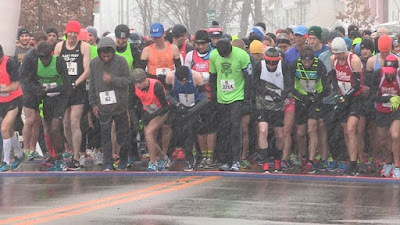 Louisville enjoyed, and I use the term loosely, 30 degree temps and light snow, with 8-10 mph winds at the beginning of the race and two hours later the conditions were just the same; there was no warming. Luckily the roads had been warm the afternoon before so the only slippery conditions were encountered on that last overpass. So how did the Masters LDR athletes do? The Masters race on the women’s side was decided early on. Perry Shoemaker, 46, the 2017 Masters 8K and 2013-2015 Masters 12K National Overall Champion, led the way. Going out in a 5:48 per mile pace, Shoemaker hit the 5 mile mark in 28:58 [gun] with a minute and a half lead on Jennifer Maranzano. But Maranzano had just as big a lead on her closest pursuer, Mimi Fallon, 52. Another half minute went by before Tucson Arizona’s Tia Accetta, 42, crossed the 5 mile mat, followed 43 seconds later by Erin Chamberlin, Lisa Reichman, Suzanne Himes, and Andrea Freeman. Shoemaker and Maranzano kept the pressure on the whole way with Shoemaker taking first in 58:56, a minute and 43 seconds ahead of Maranzano. Accetta closed gradually on Fallon and had pulled even when they crossed the 9 mile marker. From there Accetta was able to pull away to claim 3rd by 17 seconds. Fallon was followed two minutes later by Himes and Freeman. The Men’s race also included former Masters National Overall Champions, Mike Wardian, 43,in the 2014 12K Event and Bryan Glass, 44, in the 2013 15K Event in Tulsa. Wardian, last year’s 7 Marathons-7 Continents-7 Days Winner, went off at 5:20 pace keeping tight with Brock Butler, 40, and David Wertz. Butler was able to surge before the 5 Mile mark to establish a 6 second gap as he crossed the mat in 26:34. Wardian and Wertz had nearly a minute on Aaron Church and Glass who were taking a more measured approach. Butler made the early break pay off as he grew his final margin to the better part of a minute. Wardian was able to pull away from Wertz in the 6th mile as he enjoyed a 14 second gap by the 10K mark which grew to 22 seconds by the finish. Glass was able to pass and pull away from Church between miles 6 and 9 and gain some ground on Wertz. But Wertz held tough and nailed the third podium spot with over half a minute to spare. Church came in 5th, less than half a minute back from Glass. In terms of outstanding performances by age group, the 5 top runners in the Men’s Race overall came out of the 40-44 group and all had National Class [80%+] or International Class [85%+], age grades, with Wardian heading the list at 86.2% followed by Butler at 85.6, Glass at 85.4 and Wertz at 85.0. Church was not far behind at 83.3%. Shoemaker not only topped 80%, she was one of three runners to turn in a World Class time, above 90%. Her 91.3% was nearly matched by Jennifer Teppo, 59, of Vancouver WA, whose 1:09:16 merited a 90.8%, and was topped by Joan Samuelson’s 93.8%, for her 1:07:56 at age 60. Interestingly, there had been speculation that she might be shooting for Kathy Martin’s American Record of 1:05:27 but, according to usatf.tv commentators, Samuelson had nixed that ahead of time due to some issues with her knee during the run-up to the CB 10. Among the top finishers, Fallon’s time at age 52 earned an 88.3% while Maranzano’s was 87.6., both International Class, and Himes 81.2. 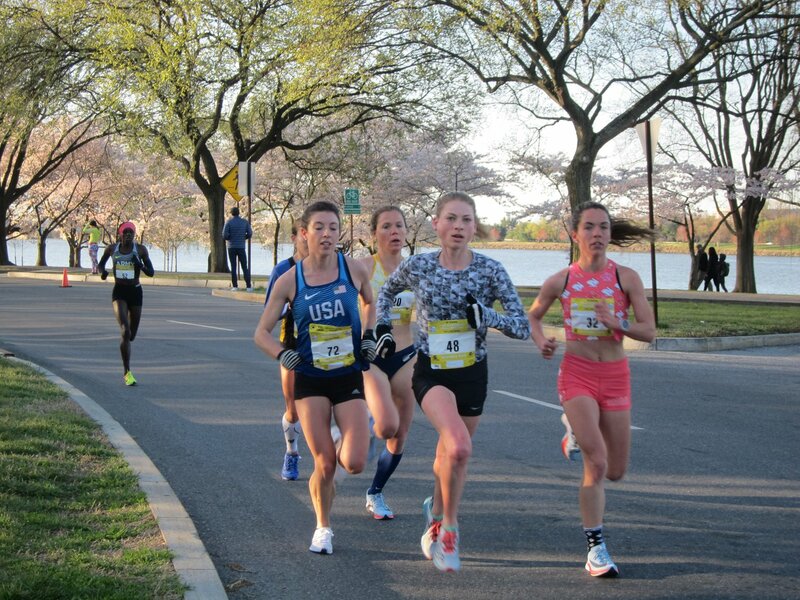 Top American Open Runners [including Emma Bates  Bethany Sachtleben  and Samantha Bluske  with Cherry Blossoms in background. The terrain alone would make the times on this course much slower; the weather did not help any. Carrie Jewkes, 44, was looking for a much better result than in 2017 when she barely cracked the top 10 Masters. But she would have to get by Kyran Hoff, 45. Who finished 4th last year, almost three minutes ahead of Jewkes. Those two went right to the front, but Jewkes had more staying power. She hit the 5 mile mark, in the midst off the hilly portion of the course, in 35:01 (gun), with a minute and a half edge on Hoff. It was another 17 seconds back to 57 year old Lynn Riedling, returning to the PJ10 for the first time since 2015. She gave away 8 seconds at the start to her two younger competitors so she had not lost much ground. It was another 40 seconds back to Rebecca Kleihegge, 41, who had a 7 second gap on Rachel Parella, 55. Jewkes added slightly to her margin, hitting the tape in 1:10:45 with a minute and 40 second edge on Hoff. A minute later Riedling came across the line in 3rd. Kleighegge had not gained on her over the final 5 miles, finishing in 4th, a minute back, with a 15 second margin on Parella. Bart Borghuis, 42, was looking for a repeat Masters win but had Jason Land, 40, to get past. Land, running in the Open category in 2017 had finished almost a minute ahead in 2017. And 47 year old Will Rivera, who finished only 4 seconds backfrom Borghuis in 2016, would also contend. It was Land and Rivera who went out hardest, but Land gradually pulled away. By the time they hit the 5 mile mat in the midst of the hills in Iroquois Park, Land had a half minute edge. It was a minute back to their main competitors, Bart Borghuis, 42, Rick Torres, 55, and Andy Meirose, 40, who crossed in that order, separated by only 15 seconds. Land and Rivera kept the pressure on all the way to the finish; Land could not pull away from Rivera but neither could Rivera close on Land. Land had a 40 second victory in the end, and Rivera was in second, with a 40 second margin on Borghuis who, to his credit, did gain slightly on Rivera over the final 5 miles. Meirose finished in 4th twenty seconds back with Torres in 5th. Only a handful of individuals were able to run National Class times on this tough course. Lynn Riedling, 57, clocked 1:13:18 for 3rd place Masters but also nailed a 83.6% age grade. Rachel Parella,55, who took 2nd in Riedling’s age division, ran 1:14:22 for a 80.3. Will Rivera, who finished 2nd among the Masters Men at the age of 47 earned an 80.3% and was topped by 55 year old Rick Torres, whose 1:02:48 netted him an 81.9 age grade. 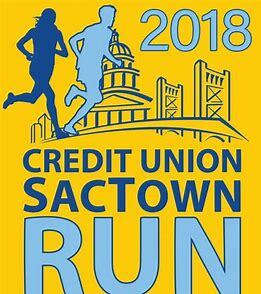 Given the course and the weather there should have been some fast times in Sacramento and there were. The course is USATF certified and is a Pacific Association Grand Prix race and has fewer than a thousand runners. No mention is made of gun vs. chip time so I assume the times posted are gun times. New Masters Runner, Ramona Sanchez, 40, had 4 seasoned competitors to worry about. Jennifer Bayliss, 47, was looking to build on her win at the USAF XC Championships in Tallahassee FL in early February, and improve on her 3rd place Masters finish last year. Molly Friel, dangerous at 50, cracked 2:44 and finished 4th Masters in the December 2017 California International Marathon [CIM]. Jenny Hitchings, 54, finished 4th Masters last year in the ST10 and would try to move up this year. Sanchez sped off and eventually pulled away from those three, hitting the 5 mile mat at the end of the first loop in 29:38 with a minute margin on Friel and another half minute on Bayliss. Hitchings played it a bit more conservatively but was still less than a minute back from Bayliss. The end of the 1st loop told the story that would remain at the end of the 2nd one. Sanchez came roaring home, just missing her personal goal of cracking an hour by a mere 8 seconds! A couple of minutes later, Friel brought it home for 2nd place, followed less than a minute later by Bayliss who held off a fast closing Hitchings, only 12 seconds further back. Chris Knorzer brought home the Masters win last year, finishing 18 seconds ahead of Jason Lee, also in the field this year. 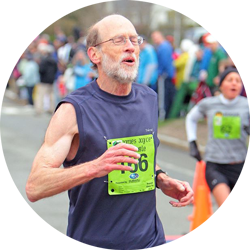 Others who would be expected to figure into the race included Gary Gellin who cracked a sub-34 minute 10K at the 2017 Marin Memorial Day race, Mark Hostetter who ran the Clarksburg Country Half Marathon in 1:17:20, Paul Smith, who ran 2:38:47 in the CIM last December and 56:06 in the Norcal John Frank Memorial 10 Miler in March, and Ben Turman who ran 1:16:18 in the Berkeley Half Marathon last November. Gellin went out hard and established a gap on the field. When they hit the 5 mile mark it was Gellin with a 12 second lead on a 3-runner chase pack of Knorzer. Smith and Turman, with Lee another 18 seconds back. Smith and Turner caught and then passed Gellin on the 2nd loop; those two battled for 1st the rest of the way with Smith winning out in the end by 7 seconds. Although Knorzer pushed hard, he could never close the gap to Gellin. In the end Gellin took 3rd with a 9 second gap back to Knorzer who had 40 seconds on Hostetter in 5th. 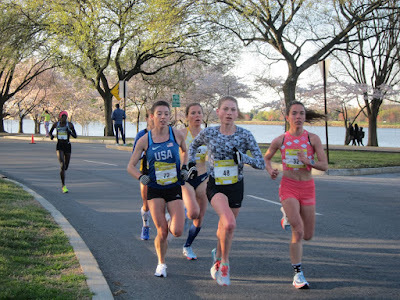 Even though it had the fewest entries of the three 10 Milers, between the fast course, the favorable weather, and the turnout of strong runners, the ST10 had a number of noteworthy performances. Among the overall leaders, Friel and Hitchings both turned in World Class performances with Friel netting a 90.4% and Hitchings racking up a 93.2—Yeehah! Bayliss at 86.01 had an international class time while Sanchez had 84.9. Joanie Siegler, 60, also turned in a World Class run with a 1:10:21 for a 90.6 age grade. The 2nd through 4th Masters Runners overall had International Class times: Ben Turman 85.1, Gary Gellin 85.2, and Chris Knorzer 85.0. Mark Hostetter earned an 81.2 age grade. The oldest podium finisher was: Robert Ward (see above). Three classic early spring 10 milers are now in the books. Masters Runners in DC and Louisville will be hoping for better weather next year, and those in Sacramento will happily take a repeat of 2018 weather. There were great races and terrific examples of endurance and persistence in each race.